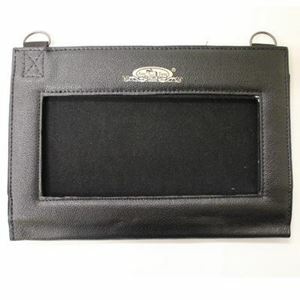 Protect your Electro Acupuncture Unit with this leather sleeve. Compatible with new JT-1A model only. This product is designed as a protective sleeve for the JT-1A and JM-2A electrical acupuncture unit. It is NOT recommended to be used as an animal neck sling/hanger bag during electrical acupuncture treatment as it may cause severe damages to the animals if the bag falls or the knobs/switches of the acupuncture unit are accidentally changed by collisions to the animal body.